SOUTH HOLLAND, IL – Women’s History Month may have come and gone, the event chairpersons (Alexandra Glumac and Rebecca Garcia-Westburg) of South Suburban College’s 10th Anniversary Women’s Conference now know what others have suspected all along—this year’s Women’s Conference was a huge success! The event began with a continental breakfast followed by the dynamic keynote speaker, Felicia Houston. 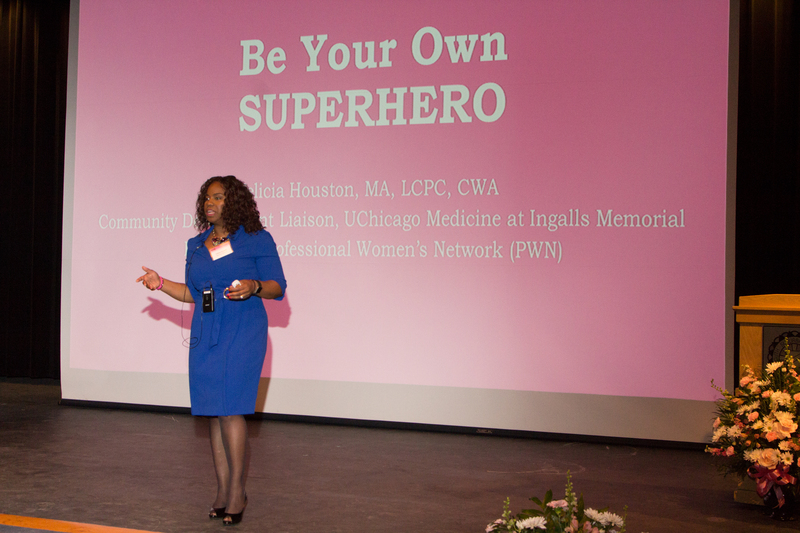 Ms. Houston, Community Development Liaison with U of Chicago Medicine Ingalls and current President of the Professional Women’s Network, began her presentation with audience engagement and gave the participants something to hang onto with her version of what each letter of the word, “SUPERHERO” stands for such as S=Strong, Supportive to O=Optimistic, Open-Minded! The participants then chose workshops sessions to attend and from the positive feedback received, the sessions were both informative and educational. An afternoon break with lunch was followed with a fashion show, more sessions and line dancing. With the successful event now completed and the Women’s Conference Committee having seen the fruits of their labor, a special thanks is given to the following various sub-committees and/or individuals for their dedication and commitment to the 10th Anniversary Women’s Conference: Rhonda Browne, Patrice Burton, Felicia Houston, Erica Humphrey, Blevian Moore, Jacki Rivera, Alysia Robinette, Hella Bowker and LaTasha Binder. 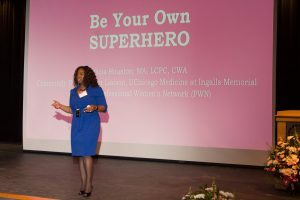 More photos can be seen at www.ChicagoWomensConference.org. 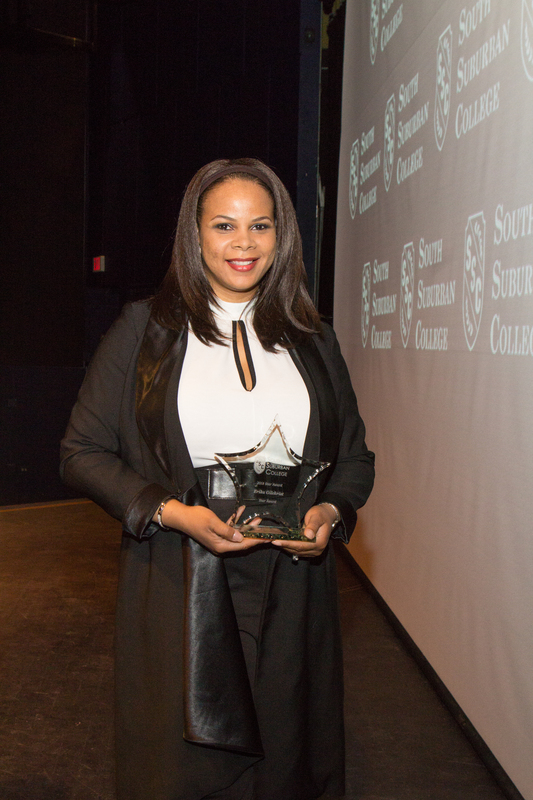 Pictured: 2018 Star Award Winner Erika Gilchrist. 2018 Women’s Conference Keynote Speaker Felicia Houston.